I ran the eight blocks from Dameron’s to Orators Hall on Broad, where the Academy held its Saturday talks, and almost as soon as I slipped in the back door, I heard Kerney, the head of stewards, ringing his bell, calling us to order because the lecture was about to begin. I was completely out of breath but I immediately shucked off my dingy gingham trousers and brown cooking smock, and crammed myself into my uniform, which had belonged to Old Gabriel Tinsley till he came down stricken on Christmas the year before. The Prussian blue kersey waistcoat and trousers, still carrying his regular scent of wet cinders, were almost too tight on my thighs and backside. I mopped the sweat off my brow, knotted my gray cravat from memory, cause there wasn’t a mirror in the stewards’ dressing room, and hurried out to the main hall. I turned to see Kerney fixing me with his red-eyed stare. I could smell he had been tasting, or how he liked to say testing, the sherry, and probably had been tallying every second on the main hall clock’s little hand past the time I was supposed to walk through that door. I eased myself out his grip, his crisped apple face tracking me across the room, and took care not to look in his direction. Soon as I reached my assigned spot Dr. Cassin, the president of the Academy, Dr. Cresson, who ran the Franklin Institute, and the afternoon’s speaker, ­another professor I recalled from a prior lecture, took their seats, the customary hush settled over the room, and the five other stewards and I assumed our places. Shoulder to shoulder we lined up, erect as a row of tin soldiers, facing the lecture hall’s high, windowless, crimson wall. Stock still, thighs against the table edge, chins up, our white cotton-gloved right hands palm-down over the lowest button of our waistcoats, we were so quiet you could forget we were there. In the front row next to Dr. Cassin, Dr. Cresson, the speaker, and the other Academy dignitaries sat as always almost completely out of my sight. The most recently hired of the crew, I had started only at the beginning of this year’s spring series, in February, through Jonathan’s intercession on my behalf with Kerney, and so I stood last in the row and farthest from the front of the room, though I could spot the dais and lectern. This month’s crowd was noticeably larger than in April. Thirty-six white gentlemen in the room I calculated, from the furthestmost chair in the front row to the nearest one in the last, whereas at the meeting the month before, which had unfortunately fallen on the same weekend as the ­attack on the South Carolina fort, starting the war, only twenty members and their guests showed up to hear the speaker, Professor Benjamin Peirce of Harvard. He had delivered a talk on his discovery that the rings of Saturn were not solid and how he had proved the other researchers wrong, and even if I had not learned enough mathematics or natural science at the Institute to follow him, I enjoyed his lecture, despite his talking so fast that he lullabied most of the audience to sleep. Afterward as I brought my sherry tray around I passed by Professor Peirce talking to City Councilor Mr. Trego and Dr. Leidy, both members of the Academy; a guest I didn’t know; and Mr. Peter Robins, the son, not his father who ran the bank. As soon as he saw me young Mr. Robins started up the same “game” he had initiated every month since I had worked there, saying to his party, “I think Theodore here pays as much attention as we do,” as if he was expecting me to say something in reply, but I smiled and instead lifted the tray of sherry glasses higher. Mr. Councilor Trego looked around the room, Dr. Leidy whispered something to his guest, while the Harvard professor was looking at me all quizzically, then Mr. Peter Robins again said, “Theodore always pays close attention, don’t you, he’s a very sharp boy,” and I responded with another smile since I noted Kerney’s glares. Professor Peirce turned to the three white men and said very rapidly as he combed his fingers through his gray beard, “Certainly my ­lectures can be a bit dense even for those who have had the benefit of reading them in advance, and my ­astronomical work and other proofs provoke particular challenges,” to which Mr. Robins said, “Theodore, tell our distinguished guest one of the things you heard him speak about today.” At that moment Kerney I could see was turning red as tenderloin and looking like he was about to come slap me if I opened my mouth. Not that I can truly recall everything unless I am paying attention, and my mother was always warning me about allowing my memory or the past to overmaster me, let things go she would say, just like she would admonish me not to let my mind fly too far, too fast into such things, lest I couldn’t bring it back down to earth, because, as she was fond of saying and my father was too, “Outside the most exalted leaders of our race what sort of life you think there is for us if our heads stay too far up in them clouds?” and if anything has to do with the clouds it’s mathematics and astronomy and so forth, which unlike history or literature I had never disliked, and I wasn’t too bad at figures, plus if you think about it, even I could see from all the preaching I had to sit through that the cloud talk also had to do with religion, which is what I also think Professor Peirce was saying but I couldn’t tell nobody there that, all they were trying to do at those lectures was figure out how things of this world and the next one worked but also to see if, outside of a church, they could reason Him out, and thinking about that reminded me of how when I was little I used to like to spend my Saturday afternoons reading about science and strange places and looking at the maps at the Free Library, which we too were allowed to visit, and I will never forget seeing a book on display there by Mr. Audubon, about whom Dr. Cassin, who was also a famous ornithologist, gave the lecture the month before Professor Pierce’s. 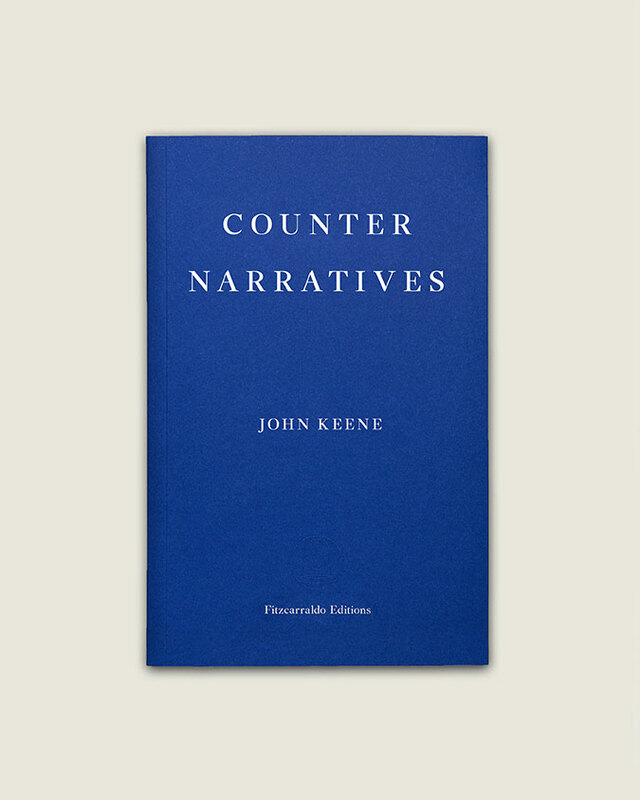 Ranging from the seventeenth century to our current moment, and crossing multiple continents, Counternarratives’ stories and novellas draw upon memoirs, newspaper accounts, detective stories, interrogation transcripts, and speculative fiction to create new and strange perspectives on our past and present. ‘An Outtake’ chronicles an escaped slave’s take on liberty and the American Revolution; ‘The Strange History of Our Lady of the Sorrows’ presents a bizarre series of events that unfold in a nineteenth-century Kentucky convent; ‘The Aeronauts’ soars between bustling Philadelphia, still-rustic Washington, and the theatre of the US Civil War; ‘Rivers’ presents a free Jim meeting up decades later with his former raftmate Huckleberry Finn; and in ‘Acrobatique’, the subject of a famous Edgar Degas painting talks back.